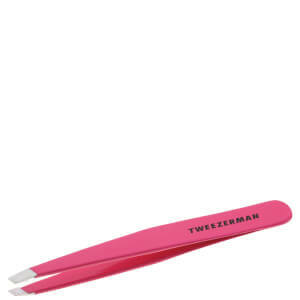 Perfect your brows with the Tweezerman Mini Slant Tweezer in 'Flamingo Pink', a smaller version of the award-winning Slant Tweezers. 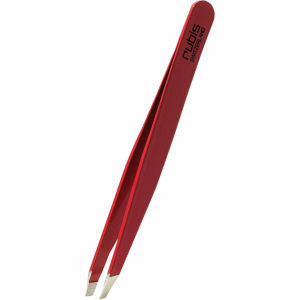 Crafted from durable stainless steel, the angled tweezers with superior calibrated tension are designed with perfectly aligned, hand-filed, 25-degree angle precision tips, so you can experience clean, advanced pulling power. The tips close evenly and firmly, allowing you to grip even the smallest of hairs for an expertly groomed finish. Loved them, they work brilliantly and are so good at the little hairs. Such a good buy! !